82 total news articles in this section, 10 per page. Fellow Seibertronian AzT has spotted a new press release over at Hasbro HQ, concerning their current CEO Brian Goldner - and it looks he will be CEO for three more years, as his contract has been extended! You can find out more information below. PAWTUCKET, R.I.--(BUSINESS WIRE)--Hasbro, Inc. (NASDAQ: HAS) today announced that its Board of Directors has agreed with the Company’s Chairman, President and CEO Brian Goldner to extend the term of his employment agreement another three years through 2020. As the Chairman, President and Chief Executive Officer of Hasbro, Inc., Mr. Goldner is responsible for bringing Hasbro’s brand blueprint strategy to life globally through innovative play experiences and engaging storytelling around Hasbro’s premier brands, and the development of long-term relationships with strategic partners. This includes the execution of brands across demographics and consumer touch points including entertainment, digital gaming, marketing and e-commerce, as well as the Company’s burgeoning consumer products business. Since joining the company in 2000, Mr. Goldner has held a series of leadership positions of increasing responsibility. Prior to being named CEO, he served as Hasbro’s Chief Operating Officer from 2006 to 2008. Further details on Mr. Goldner’s contract extension may be found in the company's current report on Form 8-K filed today. Courtesy of the US Patent and Trademark Office, we have some speculation fuel in the form of a new trademark for Elita-1 - an old character in Transformers fiction, way back from G1, but also newly reintroduced to the IDW comics universe as an ambiguous character, and with Power of the Primes on its way in 2017, there may be even more to talk about. Join us in the Energon Pub! The trademark application has been accepted by the Office (has met the minimum filing requirements) and has not yet been assigned to an examiner. New application will be assigned to an examining attorney approximately 3 months after filing date. 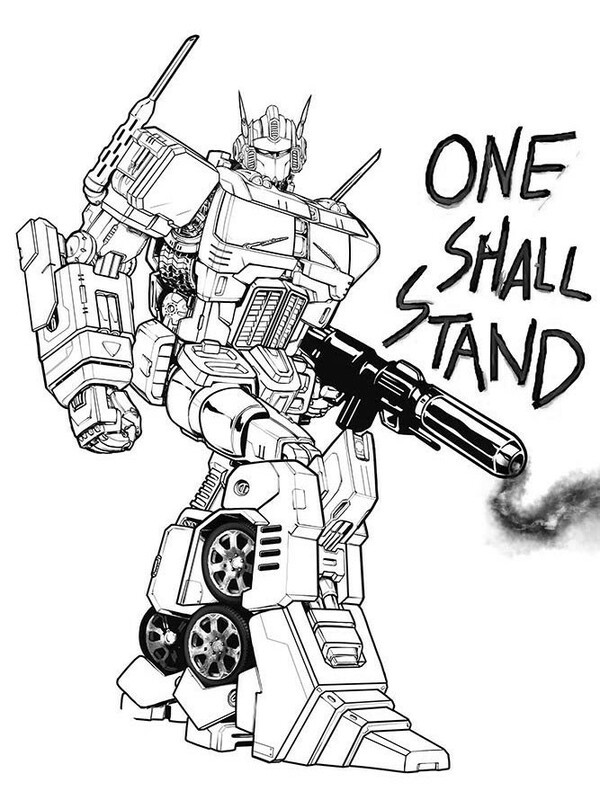 As for the variant cover for Transformers: Lost Light #1 from IDW Publishing, Ript Apparel have also posted the clean lineart for their Timothy Ninjaink Lim variant for Optimus Prime #1 - with an early version of the writing on the wall (One Shall Stand, instead of final edit Are All One)! Check it out below. 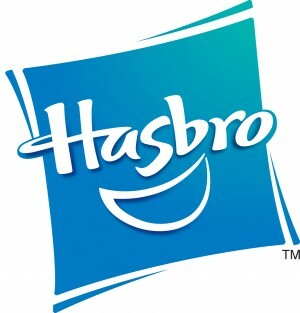 PAWTUCKET, R.I.--(BUSINESS WIRE)--Hasbro, Inc. (NASDAQ: HAS) today announced that its Board of Directors has declared a quarterly cash dividend of $0.51 per common share. The dividend will be payable on February 15, 2017 to shareholders of record at the close of business on February 1, 2017. 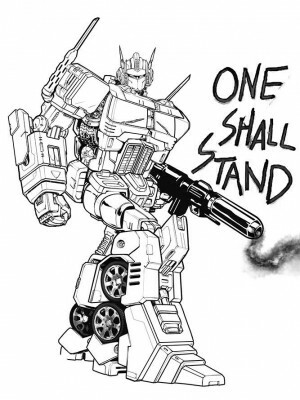 While nothing strictly Transformers-specific, we just got news from IDW Publishing that they are in fact opening a second branch - or a satellite, as they call it - in Portland, Oregon! The offices will actually serve as a launch pad for a new imprint, and will be directed by Dirk Wood. Check out more below in the official press release. 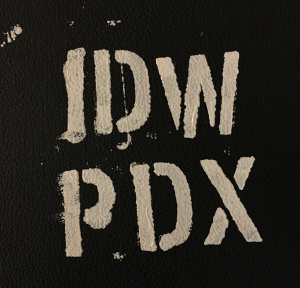 San Diego, CA (December 8, 2016) – IDW Publishing is headed to Portland, Oregon! While the company’s main base of operations will remain in San Diego, IDW is officially branching out to the burgeoning comic book scene in Portland, establishing a beachhead for its new phase of development, headed up by VP of Marketing, Dirk Wood. We just received news from Paramount that their teaser trailer for Transformers: The Last Knight, the fifth instalment in the live.action series directed by Michael Bay, reached 100 million views after its debut, skyrocketing to the most viewed trailer in the history of the studio. Check out the press release below! 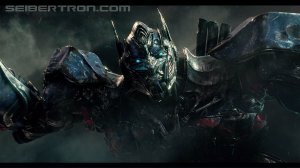 HOLLYWOOD, CA (December 7, 2016) - The trailer for Michael Bay's TRANSFORMERS: THE LAST KNIGHT has reached 100M views following its debut on December 5. A first look at the Paramount Pictures film was released to the world during Monday Night Football and quickly became the studio's biggest trailer launch to date. The trailer saw 93.6M views in 24-hours, making it the third highest viewed trailer of 2016. Following the trailer's release, TRANSFORMERS: THE LAST KNIGHT trended on all major social media outlets, including YouTube, Facebook, Twitter and Reddit. In China, where the trailer saw 16M views in 24-hours, the film was Weibo's #1 trending topic. Director Michael Bay's TRANSFORMERS franchise has earned over $3.7 billion at the worldwide box office. TRANSFORMERS: THE LAST KNIGHT, the fifth film in director Michael Bay’s global blockbuster franchise, is based on Hasbro’s Transformers™ Action Figures. Only tangentially Transformers-related, and you'll see why below, we have some new videos directly from Hasbro YouTube showcasing some of their employees and their interests, in a new series called Hasbro Stories (or #hasbrostories, for the social mediaites out there). 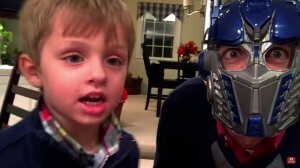 The most relevant to us is Carlos, who talks about his involvement with robots, fiddles with a Fall of Cybertron Bumblebee, Rescue Bots and Age of Extinction toys, and has plenty of Robots in Disguise and movieverse footage to accompany his clip. Check his story, and the others, out below! 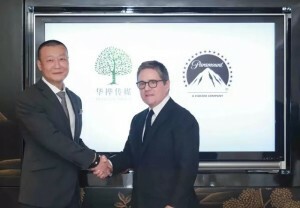 While we wait for new trailer to drop, we have some news on the international partnerships that Paramount is tying with distribution and marketing, for Transformers: The Last Knight but not only - specifically in China, according to China Film Insider. After last time's issues with 1905 Internet Technology and the various deals in the Asian country, it looks like Huahua Media will be signing on with the US studios for the fifth Michael Bay film alongside other US productions - find out more below, and here for the full piece! Some news for the weekend concerning Space Ape Games, the developers of the Transformers: Earth Wars mobile game - and it looks like they have won the 2016 edition of The Independent Game Awards (TIGA)! The shortlist for the Strategy included the likes of Insane Robots and Total War: Warhammer, and can be seen below. Congratulations to the team! raise money for our charity partner, SpecialEffect. The TIGA Awards attract hundreds of entries from all over the world, generate hundreds of positive media citations and attract significant public interest. The 2016 TIGA Games Industry Awards will take place in November at a prestigious venue in London. 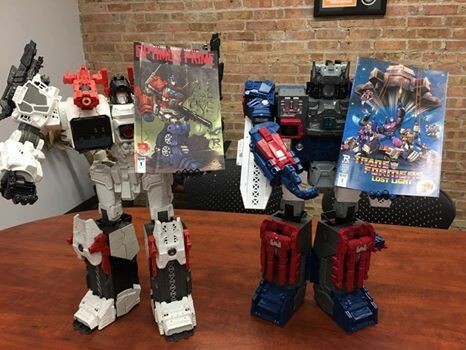 Some much needed positive news for this Sunday via fellow Seibertronian AzT, thought not strictly Transformers related - but still linked to Hasbro - about a new scheme that the company is rolling out to help with empathy education, against bullying and to nurture inclusivity. Be Fearless Be Kind is the latest in a fairly significant streak of child empowerment campaigns from Hasbro, so take a look below and here for more! PAWTUCKET, R.I.--(BUSINESS WIRE)-- Hasbro, Inc. (NASDAQ:HAS), a global play and entertainment company, today launched BE FEARLESS BE KIND, its largest philanthropic initiative ever, designed to empower kids to have the empathy, compassion and courage to stand up for others and be inclusive throughout their lives. This initiative builds upon the work that Hasbro and the Hasbro Children's Fund have been doing with generationOn, the youth service division of Points of Light. "We know the amazing difference kids can make by putting empathy into action through service, and we've seen how that work changes them, giving them confidence and a greater sense of purpose," said Karen Davis, Hasbro's Senior Vice President of Global Philanthropy and Social Impact, and President of the Hasbro Children's Fund. "BE FEARLESS BE KIND features resources, partnerships and campaigns with the common goal of creating a generation of kids who include everyone, appreciate differences and experience the feeling of fulfilment that comes with making a difference." The core elements of BE FEARLESS BE KIND are dedicated to teaching empathy, putting empathy into action, and celebrating kind kids who serve as positive role models and changemakers. "We recognize that empathy is a critical social skill that impacts our youth and our world," said Brian Goldner, Hasbro's Chairman, President and Chief Executive Officer. "Hasbro has always been committed to standing up for children, and we are pleased to be using our resources to help address this important issue." The website features a curated toolkit with best-in-class materials developed by Ashoka, the world's largest network of changemakers and social innovators. A custom series of mindfulness videos offers adults and their children the opportunity to practice meditation focused on inspiring kindness and empathy. Third-party resources, including book recommendations and articles, provide additional information and inspiration for parents and educators interested in nurturing empathy. The first new program to launch was generationOn's Rules of Kindness campaign, which invited kids and teens to create their own "rules of kindness" and a plan to put them into action. The campaign, which ran September 1 through October 17, inspired more than 110,000 youth from eight countries to share their rules and action plans. Starting in November, Hasbro and generationOn will be hosting the seventh annual Joy Maker Challenge, encouraging youth to spread joy and kindness to people in need during the holidays. For every kid engaged in service throughout the Joy Maker Challenge between November 21 and December 23, Hasbro will donate a toy or game to Toys for Tots (up to $1 million). To date, more than 950,000 total acts of service have been completed. Hasbro proudly supports NO BULLY, an evidence-based program that leverages student empathy to prevent and stop bullying in schools and in after-school programs. Hasbro brought this approach to the school district where its corporate headquarters are located in Pawtucket, RI, as well as schools across the US through an innovative AmeriCorps partnership. In addition, Peace Summit projects, designed by NO BULLY and featured on the BE FEARLESS BE KIND website, help educators involve students in reducing bullying in schools and promoting peace. Special Olympics Unified Schools program facilitates sports and education initiatives of Special Olympics in schools to foster respect and dignity for people with intellectual disabilities; change actions and attitudes among peers without intellectual disabilities; and promote social inclusion for all. Creative Vision's Rock Your World inspires middle and high school students globally to change their world through the use of media. To date, more than 600,000 students in 25,000 schools have used their free curriculum to make a difference around issues they care about. For the past seven years, Hasbro has recognized Hasbro Community Action Heroes who embody empathy, kindness, and leadership as they serve their community through volunteerism. The ten 2016 Heroes, who will be announced on November 1, will receive an educational scholarship in honor of their work. Through its partnership with the Special Olympics Unified Schools program, Hasbro will also recognize one student in each of the areas where it has US offices: Rhode Island, Seattle, Los Angeles and Miami, with the Hasbro Kindness Award for extraordinary empathetic leadership. Hasbro employees are also bringing empathy-building activities to the communities where they live and work through Team Hasbro, the company's employee volunteer program, which enjoys an 89 percent participation rate. To learn more about Hasbro's BE FEARLESS BE KIND initiative, visit www.BEFEARLESSBEKIND.com, follow the company on Twitter (@Hasbro), and join the conversation online using #BeKind and #BFBK.